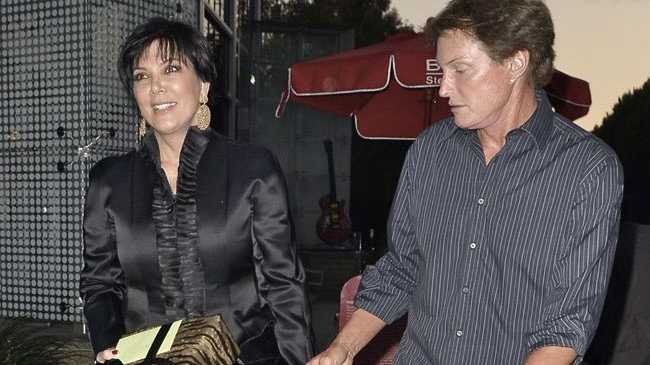 KRIS Jenner has been reduced to tears by her ex-husband Bruce Jenner's gender transition. The 59-year-old TV personality - who was married to Bruce from 1991 until earlier this year - has opened up about her former husband's transition, saying the life they used to share feels "like it didn't exist". During an exclusive 'Keeping Up with the Kardashians' clip broadcast on NBC news and chat show 'Today', a teary-eyed Kris is seen in conversation with her daughter Kim Kardashian West and she admits: "'I have these memories of this life and I feel sometimes that it didn't exist." Kim, 34, responds to her mother by trying to explain the issue from Bruce's viewpoint. She says: "He has to deal with this for his entire life of waking up and feeling like, 'Whoa this isn't my body, this doesn't feel comfortable'. That's the only way I can kind of imagine it and you really have to like let go." The footage appeared shortly after it was reported Bruce had sacked Kris as his manager. Bruce has cut his ex-wife - with whom he has two daughters, Kendall, 19, and Kylie, 17 - out from the deal for his upcoming TV show, which will chart his gender transition. A source explained: "Kris is as you see on the show - bossy, nosey and controlling. She didn't want to relinquish control because it makes it harder for her to sort out fees for 'Keeping Up With The Kardashians'."